Don's Garage in Ocala - A family-owned auto mechanic shop in Ocala! more than 135 years of a combined experience. as well as major engine and car repairs. best and most trusted auto garage in Ocala. Contact us today to get your car’s problems professionally taken care of. Don’s Garage has the most trustworthy and caring auto mechanics in Ocala! Don’s Garage was established in 1965 and has been at our current location since 1970! Our staff has more than 135 years of combined experience! We work on many different vehicles including; Mercedes, BMW, and Jaguar as well as Honda, Hyundai, Toyota, Ford , Chevy, and GMC. We have the best auto mechanics in Ocala at Don’s Garage. Contact us today and let us fix your car or truck! Don’s Garage is a family-owned business that has been providing quality car care in the Ocala area since 1965! The quality ASE (Automotive Service Excellence) certified technicians at Don’s Garage in Ocala employ today’s latest automotive technology and are equipped to handle all major and minor repairs on foreign and domestic cars. Situated near Hwy 200 and Hwy 441 intersection, we are the best car mechanics in Ocala. Need new tires in Ocala? and most trusted auto mechanics in the area. or if you are looking to upgrade your vehicle in some way, we can help. At Don’s Garage, we treat you right and get you back on the road! 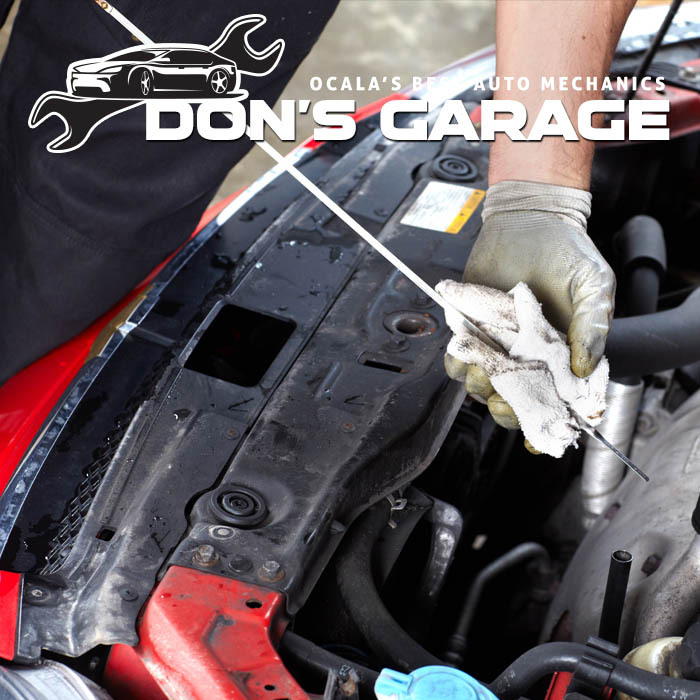 Get your oil change and recurring engine maintenance and more at Don’s Garage of Ocala! Having Engine or Transmissions troubles? We will get your car back on the road as fast as possible! Don’t get caught driving without your air conditioning in Florida! We will get your AC working in no time! Don’s Garage of Ocala has a great tire selection and offer the best batteries you can get! Expert technicians agree that the oil change is the single most important maintenance service your vehicle can receive. So, when does the oil in my vehicle need changed? Most manufacturers recommend an oil change every three months or 3,000 miles under severe driving conditions – city driving, stop and go traffic, short trips, dusty conditions – just about every case except steady highway driving. Up to 5 quarts of major brand oil, we even have synthetics! Lubrication of the various fittings on your vehicle’s undercarriage when applicable. Thorough maintenance inspection of all safety and performance related systems. My cars timing chain recently broke and it actually fractured pieces into the engine. Dorian quickly called a friend at Hyundai who got me into a new care the same day! We use Don’s Garage for both of our cars and can’t tell you enough how much we truly trust them and their mechanics. I have been using Don’s Garage since I got back from being in the Coast Guard in 1999. There have been many times that I have brought one of my cars in thinking it had major problems only to find out it was something under $20. This told me right from the start that I would never question them, even when the problems were major. There’s a reason they have been in business for so long. Don’s Garage has consistently done amazing work on our vehicles. We are on the road a lot and it’s always good to know that they are our team of mechanics, there to help us when we need it. 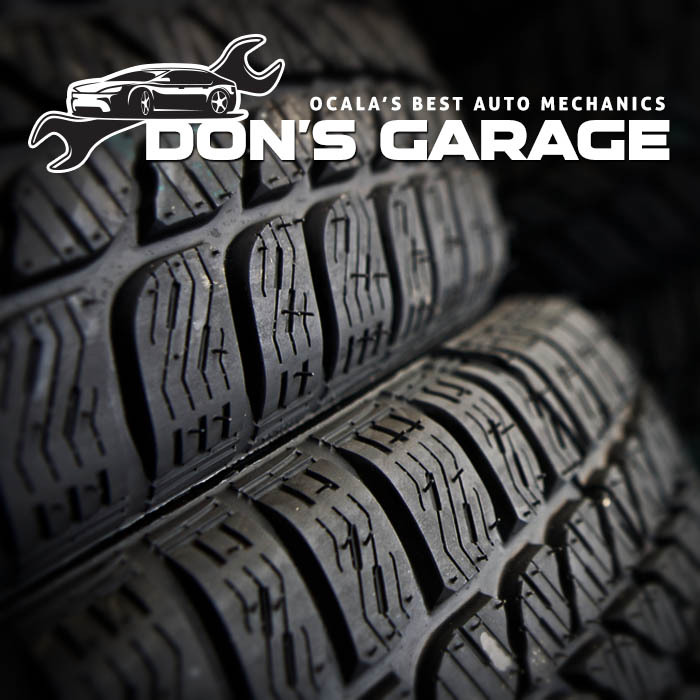 I have used Don’s Garage for many years, they are the best Ocala has to offer as far as mechanics go. They have a great group of folks that work hard and are extremely trustworthy which is an important trait in their business. Don’s Garage in Ocala has three great offers that are good till 12/31/2015! Contact Don’s Garage in Ocala for the best auto mechanics around! Thank you for visiting Don’s Garage in Ocala, FL! We offer some of the best auto mechanics all under one roof. When you need you car fixed in Ocala, contact Don’s Garage today! Call Don’s Garage in Ocala!